We offer TY language workshops in Spanish, French, Irish and English. All of our workshops are run by native or/and fluent speakers of each language, who are also experts in other exciting subjects. Our wide range of activities changes from one language to another. We have designed each program in hand with the facilitators, makign the most of their contagious passion & talent.  We can come to your school or you can come to ID Languages, on Main Street Bundoran, Co. Donegal. Please contact us for a personalized quotation. We teach English literacy & eloquence through radio production & writing workshops. By the end of the workshop, students will have produced a short radio program in English. Content is adapted to appropriate curriculum. We teach Irish through cookery & bakery or through drama. If choosing cookery & bakery as the workshop's focus, by the end of the workshop students will have produced a dish and will be able to eat it. If choosing drama, by the end of the workshop students will have produced a short theatre play in Irish. Content is adapted to appropriate curriculum. Space required: home economics room, hall or large classroom. We teach French through music & performance workshops. By the end of the workshop, students will have produced a music video in French. Content is adapted to appropriate curriculum. Space required: hall or large classroom. We teach Spanish through dance & drama. By the end of the workshop, students will know three different choreographies and will be able to perform a short play in Spanish. Content is adapted to appropriate curriculum. We will send you a quote within 24h.